On a cool rainy day like today, you can really feel that the end of the growing season is here. And that means that it is time to start thinking about where you will continue sourcing local food during the fall and winter. Luckily, local produce is much more readily available now and we have no problem finding it during the off season. In Sedona, Interdependence Natural Foods and Sedona Community Farmers’ Market are great sources for produce, meat, eggs, nuts, and dairy. I am usually able to get the majority of my groceries from these two sources. Verde Valley Farmers’ Market will be offering a fall market from October 20th – November 17th this year and Flagstaff CSA store stocks local products all year round. With these resources you should be able to continue enjoying delicious, fresh, local food all year round! This week Whipstone Farm is providing a large quantity of garlic for storage and use through the winter. To store, just peel all cloves and pack them in jars with olive oil. Your butternut squash will also keep fresh for many weeks. This week’s tatsoi harvest will be available to the majority of shareholders, but there will be ten or so bunches of bok choy since the tatsoi is slowing down so much. If you have prefer bok choy just let our volunteers know. I will be sending out an invitation this week for our end of the season potlucks at the Cornville and Sedona distributions on Wednesday, October 10th. If you normally collect your share at Willowbrook Farm, please let us know if you will be attending the potluck and at which location so we can be sure to have your share there for you. We really hope that you all can celebrate the end of the season with us! Early Bird Contracts are available for those of you who want to sign up for next year’s CSA. You can download the contract on our websiteor pick one up at distribution. 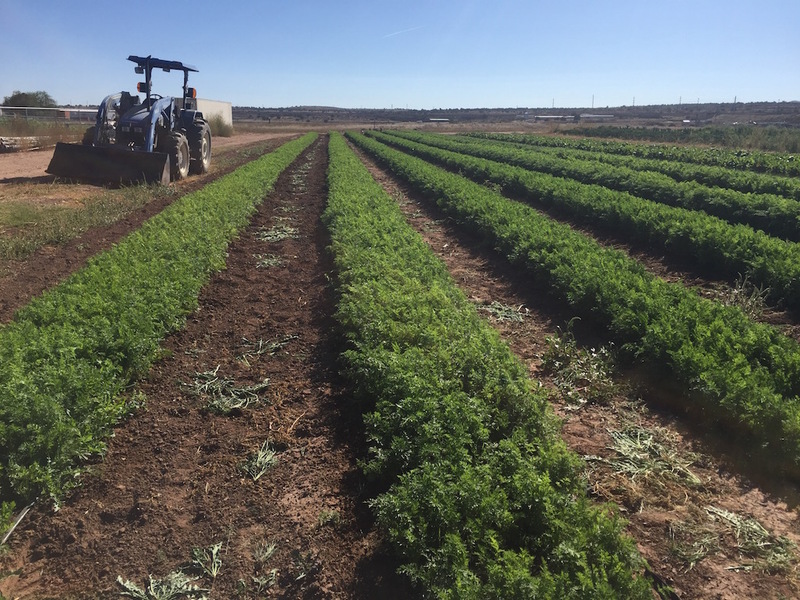 Even though the CSA season is ending, Whipstone Farm is planting winter crops – like these carrots – that will be available at Interdependence Natural Foods in Sedona and Flagstaff CSA store throughout the fall and winter. 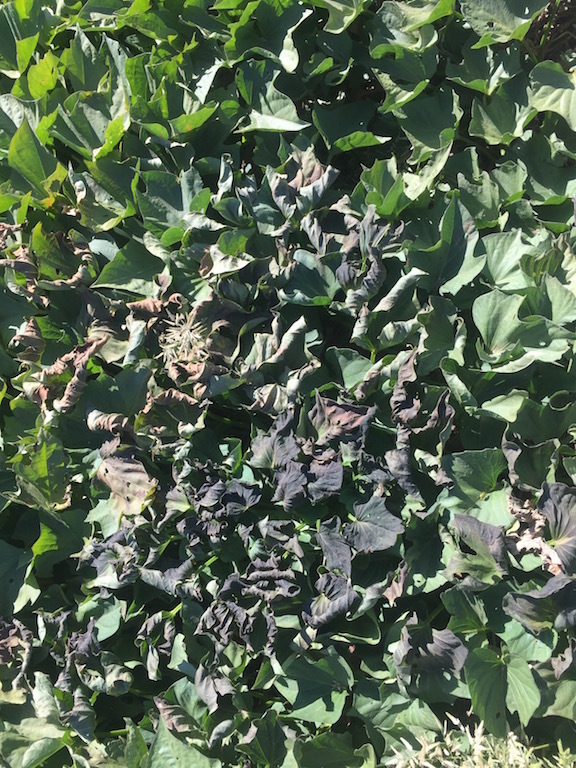 First frost nipped the sweet potatoes at Whipstone.